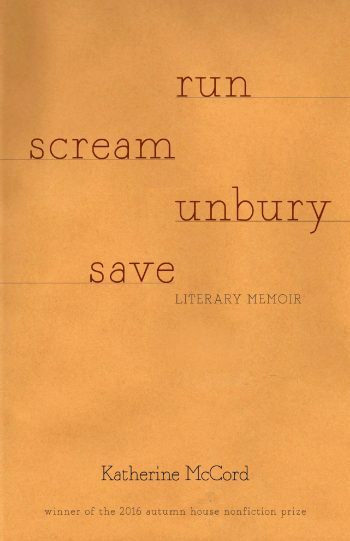 Katherine McCord has two books of poetry—Island and Living Room (prose poems)—a lyric-essay memoir, My CIA; a poetry chapbook, Muse Annie; and a literary memoir, Run Scream Unbury Save. My CIA was named a top ten book of 2012 by the Review of Art, Literature, Philosophy and Humanities and added to their ongoing list of Great Nonfiction reads. It won a Baker Artist Award; was showcased on Maryland Public Television’s, An Artworks Special; was featured through an art installation co-produced by Maryland Institute College of Art’s MFA in Curatorial Practice in early December 2013 in Baltimore; and was named an Honorable Mention for the Eric Hoffer Legacy (Creative) Nonfiction Award, 2016. She has published widely in literary journals and magazines such as American Poetry Review. She has an MFA in Poetry and an MA in English/Creative Writing/Poetry and with an Emphasis in the Teaching of Composition. In 2011 and 2014, she won Maryland Individual Artist Awards (state grants in creative writing in poetry). She has been awarded finalist/semi-finalist status in the Emerging Writer Fellowship Competition, The Writer’s Center, Maryland; the Joaquin Miller Cabin Reading Series, Washington, DC; the Autumn House Press Open Competition in Poetry; The “Discovery”/The Nation Poetry Contest; the Poet Lore Narrative Poetry Competition; The Chester H. Jones Foundation National Poetry Competition; The Maryland Poetry Review Poetry Contest; and the fellowship competition, Summer Literary Seminars in Lithuania and Kenya, 2013. 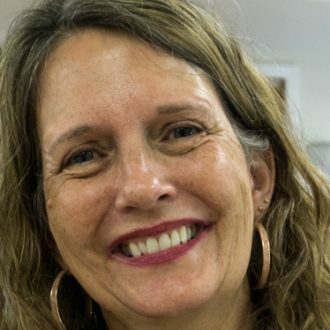 Finally, recently she won the Gabehart Prize in (Creative) Nonfiction for an excerpt from her manuscript, Run Scream Unbury Save; was named one of three finalists for the Tony Quagliano International Poetry Award; was awarded a Hoffer Legacy (Creative) Nonfiction Award for My CIA; was named a finalist for her manuscript of prose poetry, Muse Annie, for C&R’s Summer Chapbook Contest; was named a finalist for Muse Annie for NDR’s Poetry Chapbook Competition; was named a finalist for the Faulkner Wisdom Competition for an excerpt from her book-length lyric essay in progress; was named a finalist for an excerpt from RSUS for the Frank McCourt Memoir Prize; won the Autumn House Press Open Book Award in Creative Nonfiction, judged by Michael Martone, for her literary memoir manuscript, Run Scream Unbury Save; and, finally, Muse Annie, a chapbook of poems, is now out from Kattywompus Press. She has been teaching college Creative Writing for a wonderfully long time.